Medicinal plants are natural sources of bioactive phytochemical constituents which, for the physiological actions produced on the human organism, can be used against many diseases. For this reason, it is necessary for medicinal plants to be assessed for their phytochemistry in order to ascertain the potential of these indigenous sources of medicinal products. Today, people around the world are interested in using herbal medicines rather than synthetic drugs because of their minor side effects and low cost; however, there is little scientific evidence for the healing properties of these natural drugs. Scientific validation of their properties is required for their safe use. Cardiospermumhalicacabum L., from the family Sapindaceae, is a widespread perennial plant, different parts of which have been used by indigenous populations in various parts of the world both as food and in the treatment of many pathologies. Knowledge of the plant’s chemical components and their standardization and in vitro and in vivo experimentation to evaluate its pharmacological activity are means by which the quality of the drug and its possible toxicity can be controlled and adulterations with other similar species can be revealed in order to guarantee the safety and well-being of the consumer. The complex chemical composition and multiplicity of applications of C. halicacabum L. have attracted the attention of researchers who, applying modern methodologies, have ascertained the safety and validity of its use in the treatment of many pathologies. Gildenhuys E, Ellis AG, Carroll SP, Le Roux JJ. The ecology, biogeography, history and future of two globally important weeds: Cardiospermum halicacabum Linn. and C. grandiflorum Sw. NeoBiota. 2013;19:45-65. doi:10.3897/neobiota.19.5279. Schwabe W. Erste Erfahrungen mit einigen exotischen Heilpflanzen in homöopathischer Verarbeitung. Allgemeine Homöopathische Zeitung. 1972;217(4):146-153. doi:10.1055/s-2006-935645. Kavitha KN, Ruckmani A, Meti V. Study of anti-snake venom activity of Cardiospermum halicacabum. Linn. - an in-vitro and invivo study. World J Pharm Res. 2016;5(9):950-964. doi:10.20959/wjpr20169-6919. Ragupathy S, Newmaster SG, Gopinadhan P, Newmaster CB. Exploring ethnobiological classifications for novel alternative medicine: a case study of Cardiospermum halicacabum L. (‘Modakathon’, balloon vine) as a traditional herb for treating rheumatoid arthritis. Ethnobotany. 2007;19(1-2):1-16. Muthumani P, Meera R, Venkatraman S, Ganapathy S, Devi P. Study of phyto chemical, analgesic and anti ulcer activity of extracts of aerial parts of Cardiospermum halicacabum Linn. Int J Pharm Sci Res. 2010; 1(10):128-137. doi:10.13040/IJPSR.0975-8232.1(10).128-37. Desai KB, Sethna S. Chemical investigation of the roots of the Indian medicinal plant Cardiospermum halicacabum. J Maharaja Sayaji Rao Univ Baroda. 1954;3:33-39. Rao CV, Gunasekar D. Chemical examination of Cardiospermum halicacabum Linn. Acta Cienc Indica Chem. 1987;13(3):169-170. Wei JH, Chen J, Cai SF, Lu RM, Lin SW. Chemical constituents in whole herb of Cardiospermum halicacabum. Chinese Traditional and Herbal Drugs. 2011;42(8):1509-1511. Grace XF, Latha S, Shanthi S, Seethalakshmi S, Chamundeeswari D, Manna PK. Isolation and characterisation of Cardiospermum halicacabum mucilage. Int J Green Pharm. 2011;5(4):314-317. doi:10.4103/0973-8258.94354. Bates SH, Jones RB, Bailey CJ. Insulin-like effect of pinitol. Br J Pharmacol. 2000;130(8):1944-1948. doi:10.1038/sj.bjp.0703523. Singh RK, Pandey BL, Tripathi M, Pandey VB. Anti-inflammatory effect of (+)-pinitol. Fitoterapia. 2001;72(2):168-170. doi:10.1016/ S0367-326X(00)00267-7. Gao Y, Zhang M, Wu T, Xu M, Cai H, Zhang Z. Effects of D-Pinitol on insulin resistance through the PI3K/Akt signaling pathway in type 2 diabetes mellitus rats. J Agric Food Chem. 2015;63(26):6019- 6026. doi:10.1021/acs.jafc.5b01238. Poongothai G, Sripathi SK. A review on insulinomimetic pinitol from plants. Int J Pharma Bio Sci. 2013;4(2):992-1009. McCance RA, Lawrence RD. An investigation of quebrachitol as a sweetening agent for diabetics. Biochem J. 1933;27(4):986-989. Wang D, Zhang S, Chang Z, Kong DX, Zuo Z. Quebrachitol: global status and basic research. Nat Prod Bioprospect. 2017;7(1):113- 122. doi:10.1007/s13659-017-0120-3. Dhayabaran D, Florance J, Krsihnadas N, Indumathi V, Muralidhar TS. Anticonvulsant activity of alcoholic root extract of Cardiospermum halicacabum. Rev Bras Farmacogn. 2012;22(3):623-629. doi:10.1590/S0102-695X2012005000017. Liow K, Barkley GL, Pollard JR, Harden CL, Bazil CW. Position statement on the coverage of anticonvulsant drugs for the treatment of epilepsy. Neurology. 2007;68(16):1249-1250. doi:10.1212/01.wnl.0000259400.30539.cc. Chirumbolo S. Plant-derived extracts in the neuroscience of anxiety on animal models: biases and comments. Int J Neurosci. 2012;122(4):177-188. doi:10.3109/00207454.2011.635829. Kumar R, Murugananthan G, Nandakumar K, Talwar S. Isolation of anxiolytic principle from ethanolic root extract of Cardiospermum halicacabum. Phytomedicine. 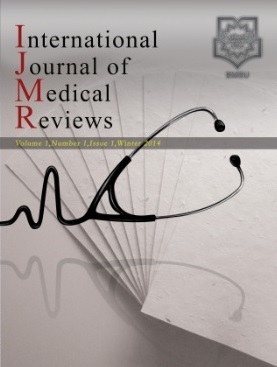 2011;18(2-3):219- 223. doi:10.1016/j.phymed.2010.07.002. Malaviya S, Nandakumar K, Vaghasiya JD, et al. Anxiolytic activity of root extracts of Cardiospermum halicacabum in mice. Internet J Pharmacol. 2009;7(1):1-6. doi:10.5580/1e23. Mohaddesi B, Dudhrejiya A, Sheth N. Anticancer screening of various seed extract of Cardiospermum halicacabum on human colorectal, skin and breast cancer cell lines. Arch Breast Cancer. 2015;2(3):91-95. doi:10.19187/abc.20152391-95. Chisholm MJ, Hopkins CY. Fatty acids of the seed oil of Cardiospermum halicacabum. Can J Chem. 1958;36(11):1537- 1540. doi:10.1139/v58-224. Ferrara L, Schettino O, Montesano D. Triterpenoids from Cardiospermum halicacabum L. Phytother Res. 1996;10:S192- 194. Mikolajczak KL, Smith CR, Tjarks LW. Cyanolipids of Cardiospermum halicacabum L. and other sapindaceous seed oils. Lipids. 1970;5(10):812-817. doi:10.1007/BF02531973. Aldrich JR, Carroll SP, Lusby WR, Thompson MJ, Kochansky JP, Waters RM. Sapindaceae, cyanolipids, and bugs. J Chem Ecol. 1990;16(1):199-210. doi:10.1007/BF01021279. Covello M, Schettino O, Ferrara L. Studio cromatografico della composizione della frazione in saponificabile dell’oliodei semi di Cardiospemum halicacabum L. Identificazione e dosaggio dei tocoferoli Rendiconto dell’Accademia di Scienze fisiche e matematiche della Società nazionale di Scienze. Lettere ed Arti di Napoli. 1974;XLI(4):1-7. Bachmann C. Cardiospermum bei dermatologischen Problemen. Ars Medici thema Phytotherapie. 2010;2:7-8. Merklinger S, Messemer RC, Niederle S. Ekzembehandlung mit Cardiospermum halicacabum. Z Phytother. 1995;16:263-266. Gehring W, Gloor M. [Cardiospermum--a new phytogenic drug in dermatology?]. Z Hautkr. 1989;64(4):274, 277-278. Kumar KE, Mastan SK, Reddy GA, Raghunandan N, Sreekanth N, Chaitanya G. Anti-arthritic property of the ethanolic leaf extract of Cardiospermum halicacabum Linn. Biomed Pharmacol J. 2008;1(2):395-400. Annadurai A, Elangovan V, Velmurugan S, Ravikumar R. Preliminary phytochemical screening and antibacterial of Cardiospermum halicacabum L. Adv Appl Sci Res. 2013;4(5):302-308. Maluventhan V, Sangu M. Phytochemical analysis and antibacterial activity of medicinal plant Cardiospermum halicacabum Linn. J Phytol. 2010;2(1):68-77. Choi JS, Islam MN, Ali MY, Kim EJ, Kim YM, Jung HA. Effects of C-glycosylation on anti-diabetic, anti-Alzheimer’s disease and anti-inflammatory potential of apigenin. Food Chem Toxicol. 2014;64:27-33. doi:10.1016/j.fct.2013.11.020. Zeng L, Zhang G, Lin S, Gong D. Inhibitory mechanism of apigenin on alpha-glucosidase and synergy analysis of flavonoids. J Agric Food Chem. 2016;64(37):6939-6949. doi:10.1021/acs.jafc.6b02314. Shankar E, Goel A, Gupta K, Gupta S. Plant flavone apigenin: An emerging anticancer agent. Curr Pharmacol Rep. 2017;3(6):423- 446. doi:10.1007/s40495-017-0113-2. Huang YT, Hwang JJ, Lee PP, et al. Effects of luteolin and quercetin, inhibitors of tyrosine kinase, on cell growth and metastasisassociated properties in A431 cells overexpressing epidermal growth factor receptor. Br J Pharmacol. 1999;128(5):999-1010. doi:10.1038/sj.bjp.0702879. Sadik CD, Sies H, Schewe T. Inhibition of 15-lipoxygenases by flavonoids: structure-activity relations and mode of action. Biochem Pharmacol. 2003;65(5):773-781. doi:10.1016/S0006-2952(02)01621-0. Fang J, Zhou Q, Shi XL, Jiang BH. Luteolin inhibits insulinlike growth factor 1 receptor signaling in prostate cancer cells. Carcinogenesis. 2007;28(3):713-723. doi:10.1093/carcin/bgl189. Chandra T, Sadique J. Anti-inflammatory effect of the medicinal plant Cardiospermum halicacabum Linn. - In Vitro Study. Arogya- J Health Sci. 1984;10:57-60. Salvemini D, Wang ZQ, Wyatt PS, et al. Nitric oxide: a key mediator in the early and late phase of carrageenan-induced rat paw inflammation. Br J Pharmacol. 1996;118(4):829-838. doi:10.1111/j.1476-5381.1996.tb15475.x. Venkatesh BKC, Krishnakumari S. Cardiospermum halicacabum suppresses the production of TNF-alpha and nitric oxide by human peripheral blood mononuclear cells. Afr J Biomed Res. 2006;9(2):95-99. doi:10.4314/ajbr.v9i2.48781. Pillai NR, Vijayamma N. Some pharmacological studies on Cardiospermum halicacabum Linn. Anc Sci Life. 1985;5(1):32-36. Menichini F, Losi L, Bonesi M, Pugliese A, Loizzo MR, Tundis R. Chemical profiling and in vitro biological effects of Cardiospermum halicacabum L. (Sapindaceae) aerial parts and seeds for applications in neurodegenerative disorders. J Enzyme Inhib Med Chem. 2014;29(5):677-685. doi:10.3109/14756366.2013.840614. Waako PJ, Gumede B, Smith P, Folb PI. The in vitro and in vivo antimalarial activity of Cardiospermum halicacabum L. and Momordica foetida Schumch. Et Thonn. J Ethnopharmacol. 2005;99(1):137-143. doi:10.1016/j.jep.2005.02.017. Shabi MM, Dhevi R, Gayathri K, Subashini U, Rajamanickam GV, Dubey GP. Investigation on anti-inflammatory and analgesic effect of C. halicacabum Linn. Bulg J Vet Med. 2009;12(3):171-177. Sheeba MS, Asha VV. Effect of Cardiospermum halicacabum on ethanol-induced gastric ulcers in rats. J Ethnopharmacol. 2006;106(1):105-110. doi:10.1016/j.jep.2005.12.009. Rao NV, Prakash KC, Shanta Kumar SM. Pharmacological investigation of Cardiospermum halicacabum (Linn) in different animal models of diarrhea. Indian J Pharmacol. 2006;38(5):346-349. doi:10.4103/0253-7613.27703. Boonmars T, Khunkitti W, Sithithaworn P, Fujimaki Y. In vitro antiparasitic activity of extracts of Cardiospermum halicacabum against third-stage larvae of Strongyloides stercoralis. Parasitol Res. 2005;97(5):417-419. doi:10.1007/s00436-005-1470-z. Dinithi L, Peiris C, Dhanushka MAT, Jayathilake TAHDG. Evaluation of aqueous leaf extract of Cardiospermum halicacabum (L.) on fertility of male rats. Biomed Res Int. 2015;2015:175726. doi:10.1155/2015/175726. Parameshappa B, Ali Basha MS, Sen S, et al. Acetaminopheninduced nephrotoxicity in rats: protective role of Cardiospermum halicacabum. Pharm Biol. 2012;50(2):247-253. doi:10.3109/13880209.2011.596843. Santha Kumari G, Pillai NR, Nair RB. Diuretic activity of Cardiospermum halicacabum L. in rats. J Sci Res Plant Med. 1981;2(1-2):32-34. Rajesh S, Sivakumari K, Ashok K, Abitha AR. Anti-cancer activity of Cardiospermum halicacabum Linn. leaf extracts against hepatocellular carcinoma cell line (Hep-G2). World J Pharm Pharm Sci. 2016;5(3):1133-1154.